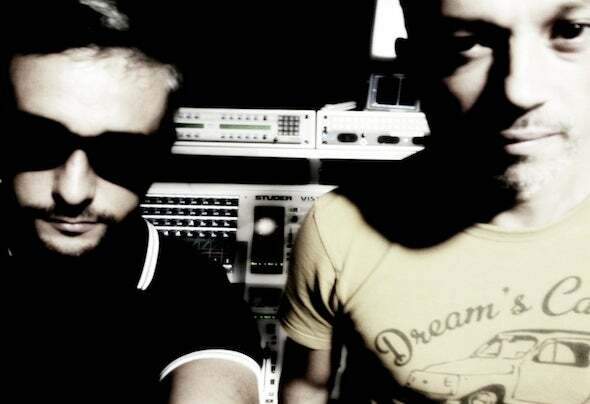 Codazzi is Synthesizers programmer, player, composer,producer and sounddesigner.Debut album released on 2010 by Black fading / Musica diun certolivello (Italy).The new Swiss synth pop master rose to cult figure in theRösti-landelectro underground scene. After his beginnings as darkwave bass playerin several small bands he focused his composition talent onsynthesizersin the late Nineties, inspired by the German pioneers of theSeventies,the Italo disco heroes of the Eighties and the mostaudacious technoacts of the following decade. His love for the old analogmachines,robotic vocoders and Commodore 64 music softwaresbecame key ingredientsin his musical approach.Max Lietta. He works as a broadcast Audio Professional atSky Italia andhe has done mani side events at the biggest concerts ofartists likeMadonna, Planet Funk or Dire Straits. He has experiences atvariousevents in fashion and sport like Marc Jacobs party at fuorisalone,AllStar Game event, Color Run, Eletric Run and so on.Max in one of the 3 italian people able to manage EmulatorTechnologyand work in more club.